Hobart Moisture Absorbers – up for a challenge! We do not go much further south in Australia than Hobart. Picturesque and peaceful. Beautiful Hobart is just sublime in summer. The rest of us are often tempted to escape our hot and humid weather for the milder weather of the apple island. Hobart does however, experience wet and cold weather in winter. Many properties may be shut or closed off against foul weather. This often results in damp mouldy bedrooms, bathrooms and wardrobes. Trying to stop mould can be difficult during the colder months. Most likely a job for our Hobart Moisture Absorbers. Our Hobart Moisture Absorbers are designed to combat moisture and mould . Click on the red link for more information on the subject. Latest research points to mould spores being a factor in creating poor indoor air quality. Wikipedia lists the spores as one of the main causes of allergies. What makes our Hobart Moisture Absorbers so special? 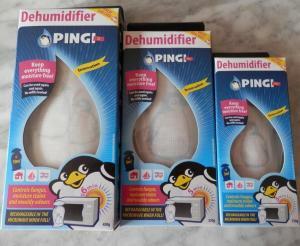 Unlike other moisture absorbers, the PINGI range requires no refilling. You recharge the Hobart Moisture Absorbers in a microwave oven and therefore can use the humidity absorbers over a period of a couple of years. This is also better for our environment. Please have a look at how we approach our online customer service and sales. Click on link. Moisture magnets to control mould. Buy your Hobart Moisture Absorbers today! Have a look at our Moisture Absorber Specials page for great value! Just click on thelink. If you have air conditioning, it may be required to get a local air conditioning treatment done in Hobart to decontaminate the coils and filters. Air conditioning systems are sometimes a significant part of spreading mould spores.